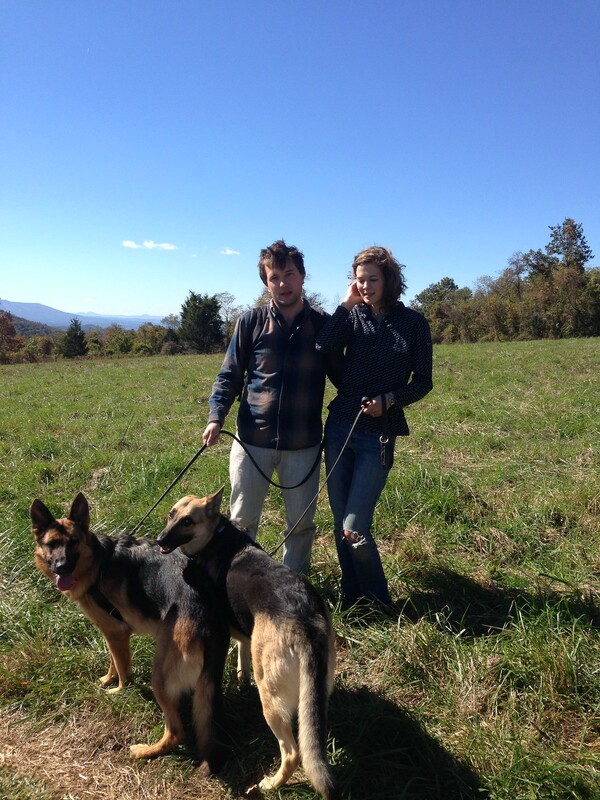 Mussed hair, dogs, ripped jeans on Little Calf Mountain. Upon reading the lyrics of Joanna Newsom’s new album, Divers, one is filled with an acute sense of despair and wonder. How is it fair that one woman should possess all of these gifts? I want so badly to write this thing, this thing I have been mulling over for about a year, but I realized that I cannot write a good narrative. I don’t know how to write dialogue; I can only tell. I am afraid of mimicking the way people speak. In the same moment, I realize I am also afraid of cats, in a fundamental way. I am afraid of cats, like I am afraid of writing dialogue, because I do not understand how they work. I love how much my husband loves women artists. It is a rare thing in a man, I think. I don’t think I could ever have a cat, even though I admire them from afar. For one, I abhor keeping any pet that shits in your house. For another, I mistrust an animal that has no sense of mercy. At a recent dinner, in front of a table full of super-intelligent, beautiful, agnostic women, I admitted that I went to church on a regular basis. I felt shy and exposed, and felt like I should have stopped myself, but I was received kindly and graciously, without apparent judgment. Some of them seemed curious about this admission. We talked freely about religion and what we liked about it, what we felt it could add to our lives. Why don’t you try telling the story by writing it as you would talk to a friend? Don’t worry about the dialogue. You can revise later. Just get it on the page. I always think fear is the best place to write from, if you can get over the door-sill into the actual writing. If you’re afraid, then you’re humble–you want to serve the story and not yourself. If you’re not afraid, you’re probably overconfident, and that will make you precious about your words. Dialogue intimidates me too – it’s the main reason I chose poetry over fiction! I got a cat in college because I could not have a dog yet…that was 18 years ago, and Nina has been a most wonderful cat, but will be my last.